card maker, lover of paper crafts of all types! Independent Consultant for Close To My Heart, an industry leader in scrapbooking and acrylic stamp supplies. Monthly Scrapbook Workshop Join me the 3rd. Tuesday of each month and create a two page 12x12 layout. You'll receive the Workshop Kit (featured in our catalog) which includes a paper pack, stamp set, embellishments and workshop guide! I provide the ink pads needed to complete the workshop, (or you can purchase your own), and of course I serve light refreshments. Contact me to sign up for a fun night of scrapping and fellowship! Hop on by to create this cute little guy, ready to add a few treats! for more information e-mail today! e-mail for information on how you can get the Cricut Artiste Cartridge 1/2 price! Ask me how you can get your FREE copy!! 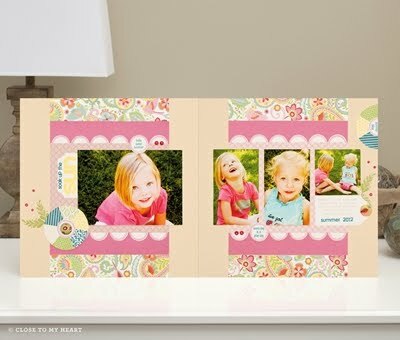 Ask me how you can get the Cricut Artiste Collection for 1/2 price!